I'm going to continue straight on from yesterday with the remaining seven polishes from The Princess Bride Collection by Dollish Polish. As you wish - metallic gold holo. 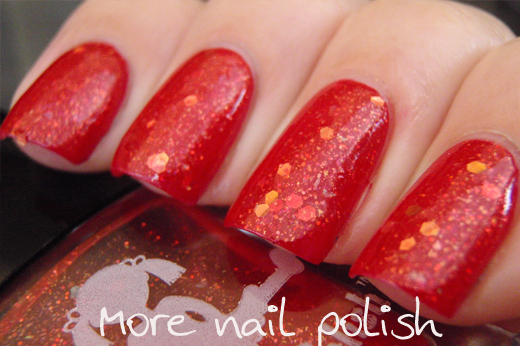 Lovely formula and opaque in two easy coats. The colour reminds me of the golden hair of both Buttercup and 'Farm boy'. 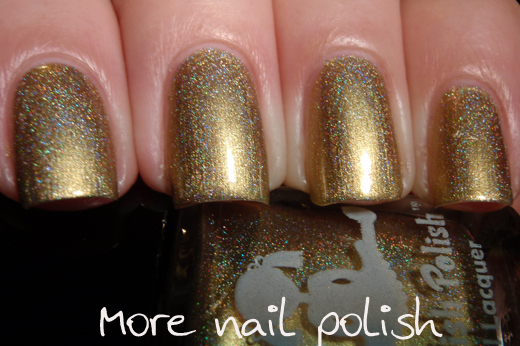 Being gold, and holo this is an absolute winner for me. 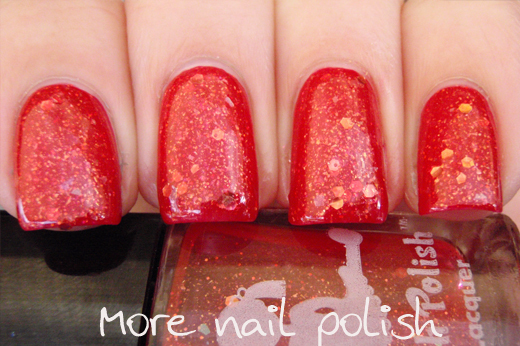 I Survived The Fire Swamp - A fire red jelly filled with iridescent glitters that shift red, orange and gold. 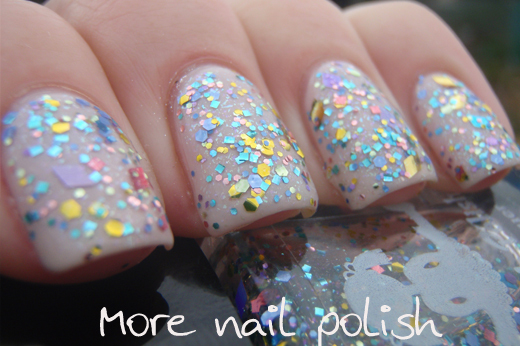 Inconceivable - a multi coloured and shaped glitter mix in a clear base. 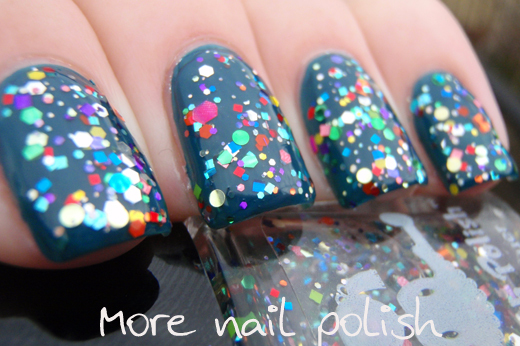 This is listed as having more that 50 different glitters. I loved the look I achieved with this one. I layered two coats of Ulta3 Get Teal. 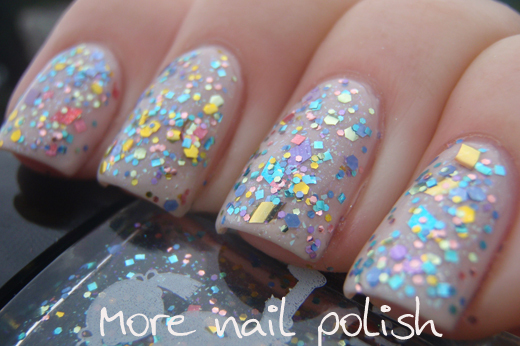 Iocane Powder - a glitter topper with varying sized translucent white & pale gray glitters in a light shimmery base. I used two coats over Ulta3 Wild Berry. The part of the movie about Iocane Powder is one of my very favourtie parts. Is this a kissing book - A very pretty glitter topper that is jam-packed with pastel glitters in pink, lavender, turquoise, green, blue, & gold. 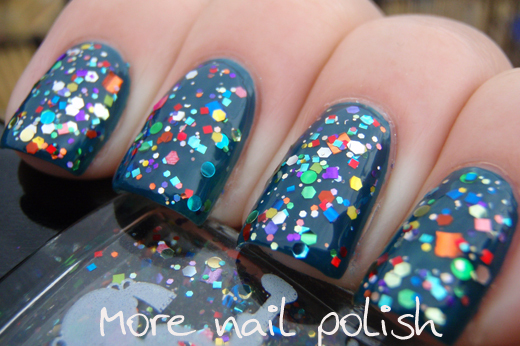 Lots of shapes, including flowers and diamonds make this polish extra interesting. Some of the gold diamonds have some reflective curling going on, but were easily smoothed with a layer of top coat. This is two coats over Ulta3 Baby Pink. When I first started re-watching this movie and I saw the very start, it really hit home how old the movie is. The beginning shows a young boy being read a book by his grandfather. That young boy in the movie is Fred Savage, and he looks as you as he was in the first episodes of The Wonder Years. 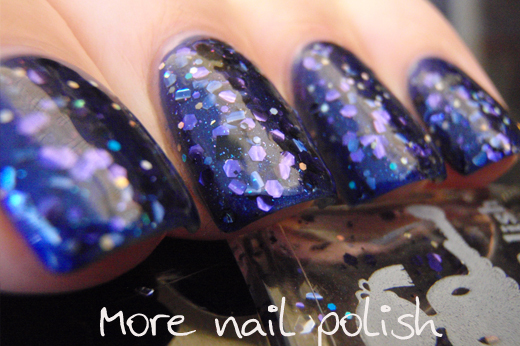 The pit of despair - Mostly square and hex glitters in black, gunmetal, purple and blue in a slightly shimmery base. There is some reflective curling on the blue squares and purple hexes, but again it was easy to get smooth with top coat. This is two coats of Ulta3 Pacific Splash. Have Fun Storming the Castle -A light gray crelly loaded with varying sizes and shaped lavender, garnet, purple, and burgundy glitters. The finish on this was lovely, although next time I would probably layer this over a creme. 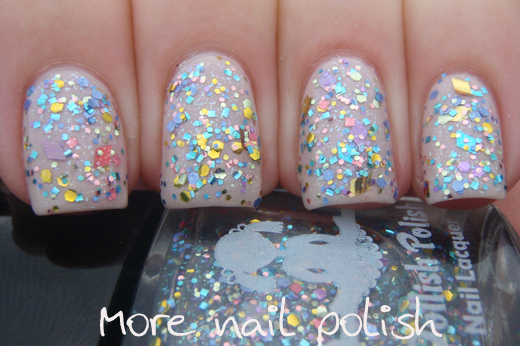 I did four coats to achieve full opacity, and I totally loved the translucent glitter sandwich effect. 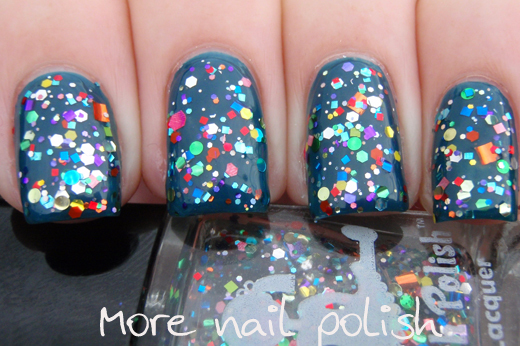 A great collection that was fun to swatch and has some really polishes. 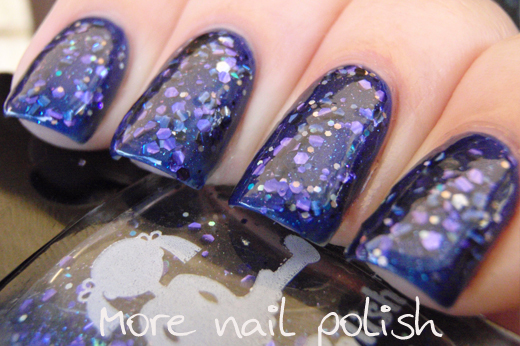 Dollish Polish are available from the Dollish Polish BigCartel store. Oh my, again how can one possibly choose just 1 or 2. They all have a special quality I love! I must say I will be getting Is this a kissing book and Inconceivable, I just love glitter toppers. 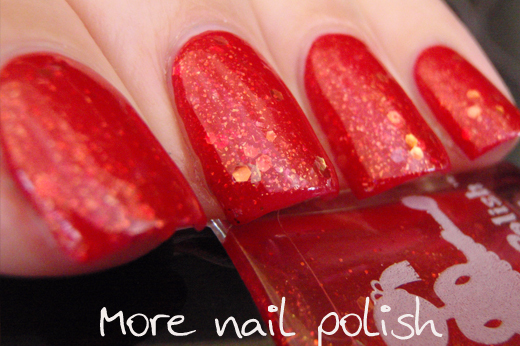 I also don't mind reflective curl glitter as I think it gives a certain dimension to the polish.